10 X 16.5 + 5 + 3.5 + 1.5"
5.5 X 15 + 1.5"
6.5 X 14.5 + 4 + 3.5"
6.5 X 20 + 1.5"
7.5 X 14.5 + 4 + 3.5"
Whether a customer is looking for a product that will house the merchandise that they sell to their customers or they are looking for a fun promotional item that will get their brand out there, newspaper bags are a smart and economical choice. The durability and versatility of custom wicketed bags is tough to beat, and they are a great choice for business. When you turn to APlasticBag.com for your newspaper bags, you will have complete control over the design process. 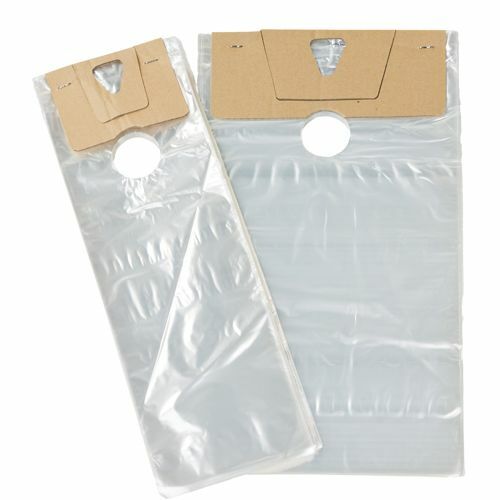 Your source for Newspaper Bags and Poly Bags.